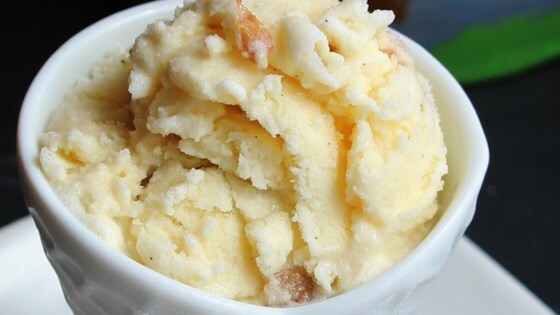 "Basic Gelato Recipe...from my Italian mother-in-law. This recipe may be used as a base for your favorite flavors. Try adding vanilla, shaved chocolate or your favorite fruits. Experiment with desired flavors!" Pour the mixture into an ice cream maker, and freeze according to the manufacturer's instructions. Transfer to a sealed container, and freeze until firm. If the gelato is too firm, place it in the refrigerator until it reaches the desired consistency. I had gelato in italy, and this homemade recipe tasted almost the same, next time i'll add fuit to make it like the gelao I had here! This basic recipe has good flavour. I added pure vanilla to start, as we will continue making this trying tons of different add-ins.